My office is conveniently located at 3305 Northland Drive in suite 403. Please check back soon as this page is under construction. 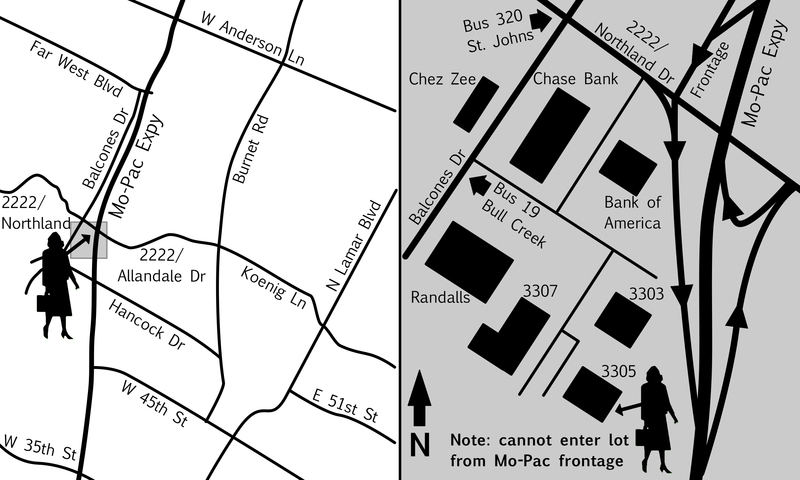 If you are riding the bus, route 19 (Bull Creek) has a stop just in front of the office. For additional information regarding this route or connecting routes please refer to the Capitol Metro website or call (512) 474-1200. Copyright © 2003-2016 - All Rights Reserved. Legal Disclaimer.